Welcome to Villa Bichos de Amour. This seller is re-locating and needs to SELL. Motivated! 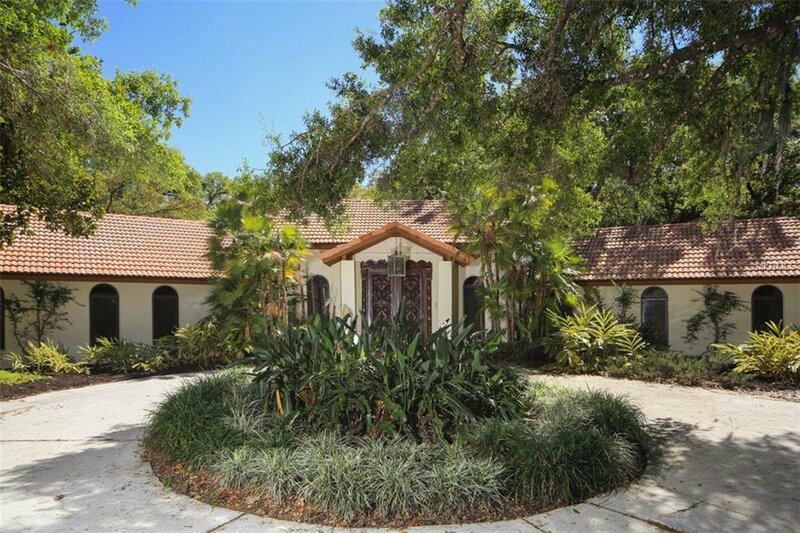 This one of a kind, family home is nestled on 5.2 acres bordering the Myakka State park just 35 minutes from downtown Sarasota and 45 minutes from Lido beach. This property is a diamond in the rough and needs the person with vision who can see the many possibilities. The 3535 sq. ft of air conditioned space opens to encompass an additional 2000 sq. ft. of lanai/pool area, perfect for entertaining. The home boasts 17 hand carved doors, vaulted ceilings in every room up to 22 ft., custom design Cedar accents over sliding doors and windows, hand painted tile baseboard and accents throughout and a view from every room! The airy great room is sunken and has a wood burning fireplace and opens onto the lanai. The master suite has a sitting area, with a fireplace, walk in closet and an open-air shower in the master bath. A spacious in-home office and a walk-up, 900+ sq. ft warehouse/attic over the over sized 4 car garage. Perfect to work from home in a peaceful and tranquil setting. This work of art has the acoustics of a cathedral and the wall space of an art gallery. Town and Country with a cultured flair! Listing courtesy of KELLER WILLIAMS REALTY SELECT. Selling Office: EXIT DREAM TEAM REALTY.